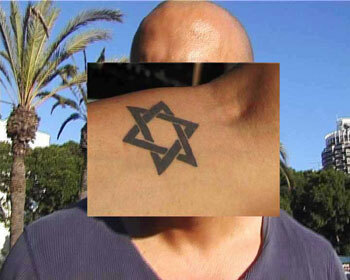 An encounter with a passerby who conveys his feelings towards his own Star of David tattoo. Shot and edited by Elyasaf Kowner. The truth is that it’s simply a perfect form that expresses strength, patriotism and depth beyond the pretty form of the tattoo itself. you must understand that the Star of David is a shape of a star - symmetrical. That’s it.Did you shoot that?